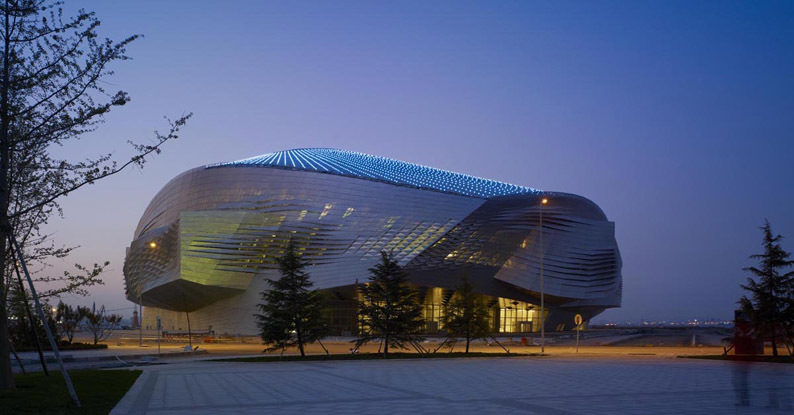 The port city of Dalian China is now home to a brilliant metal building seemingly in motion--the Dalian International Conference Center. Primed to spur development in the central business district, this low-lying futuristic multi-purpose building is situated among tall skyscrapers. 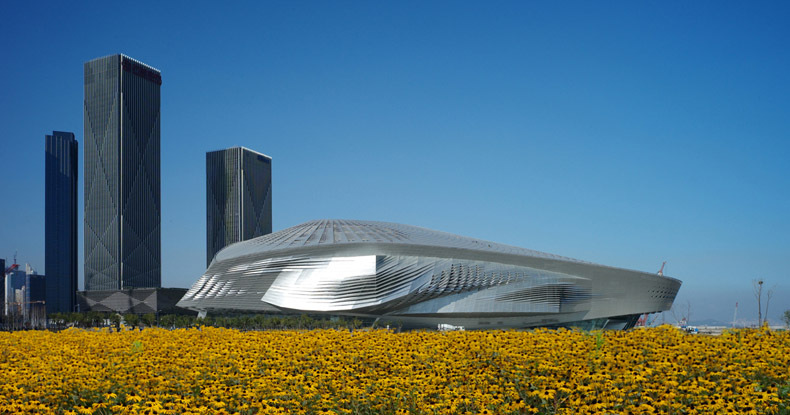 Plans for this landmark structure began back in 2008, when the firm Coop Himmelb(l)au won a design competition. Led by architect Wolf D. Prix, design work began on the building comprised of several functional areas, including a lobby, a grand opera house seating 1,600, conference halls, meeting rooms and a comprehensive service area. Covering a land area of 4.3 hectares, the building is 59 meters tall, with a total floor area of 146,800 square meters, one floor under ground and four floors above ground. The building’s exterior is comprised of QuadroClad™ Metal Façade Panels (by Hunter Douglas Contract). This lightweight rainscreen façade system controls rain penetration, maintains ventilation, and provide thermal insulation. 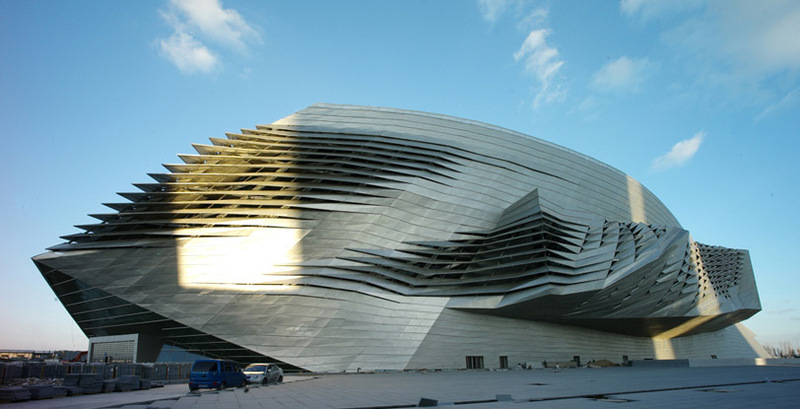 The Dalian International Conference Center is winner of the Hunter Douglas 2012 Project of the Year Award.